RFSim99 is a free linear S-parameter based circuit simulator offering schematic capture, simulation, 1 port and 2 port S-parameter display and file support, tolerance analysis, stability circles, and much more. Requires Windows 95, 98, NT or 2000. File size 2045KB. Provides analog design software exclusively over the web, offering tools for chip-level layout. Poduct line includes PLLs, tuneable resonators, LC oscillators, bandgaps and RF passives. Provides tools aimed at power supply, PLLs and embedded microcontroller design. Includees a number of on-line design calculators using Java Applets for designers and engineers. Offers a range of products suitable for its Field-Programme Analog Array. Includes free software for configuring and simulating FPAAs. Provides information on three design tools: a Fourier series generator, and demonstrations of poles and zeros and analog circuit analysis. RF Specialty Gift Design, Inc. Session RP1 - Poster Session VIII. [PDF] Phase Shifter Design Tutorial Download full paper. [PDF] ECE166 Spring 2001 HP Advanced Design System (ADS) Tutorial . The educational encyclopedia, oscillator types, Wien Bridge oscillators, Crystal. 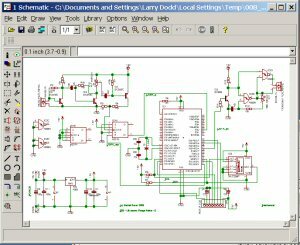 eda: eda electronic design automation. The MicroSim Web Site Has Moved! timecrft.zip - Electronic circuit timing diagram generator. Windows 3.0+. "High-Speed Signal Propagation: Advanced Black Magic"
These scripts may be used to simulate long transmission structures using the frequency-domain method, which for linear systems is acknowledged as the "gold standard" against which other simulation technologies are measured. These scripts provide incredible control over every parameter of simulation. They may be re-programmed to suit almost any need. The scripts are provided in MathCad syntax, and also in the form of .pdf files in case you want to just see the equations so you can port them to another brand of mathematical spreadsheet. Burn-in Endurance Test. PCB Printed Circuit Design Assembly. 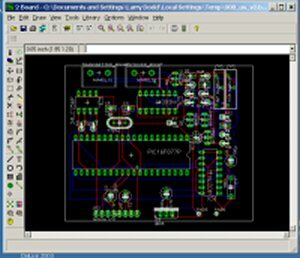 PCB Board Creation - Design Software!